When the worlds media labels you and the people of your area as unemployed, terrorist harbouring, drug dealing, insular, socially inept heathens, what do you do? 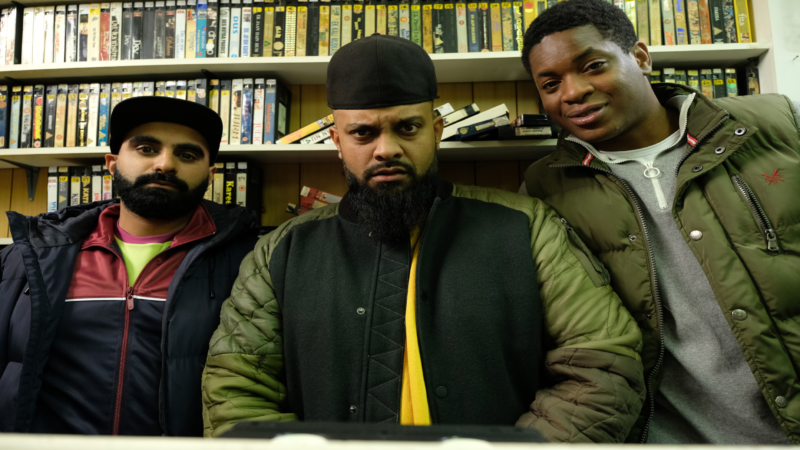 Well you go and pick up milk and bread because life goes on innit… Welcome to the life of Man Like Mobeen, a 28 year old from Small Heath in Birmingham, who has a job, doesn’t know any terrorists, is pretty excellent when it comes to social skills and…well probably dealt drugs for a bit. Mobeen has many challenges in life – the biggest one being providing for his younger sister Aqsa. He does this alone, acting as a very hairy mother, father and brother figure in the hood. He gains emotional support from possibly two of the best friends a person could have, Nathaniel ‘Nate’ Dixon and Arslan ‘Eight’ Kushi. Although when we say emotional support, we mean they add to his likelihood of an emotional breakdown every minute of every day. Mobeen’s parents have done a disappearing act that would make the love child of David Blaine and Dynamo proud, leaving the(reluctant) hero with the full financial and emotional responsibility of the ‘family’ they’ve left behind in Birmingham. All Mobeen wants to do is follow his faith, lead a good life, and make sure his younger sister fulfils her potential. But can he juggle this, with his criminal reputation and murky past always chasing him?